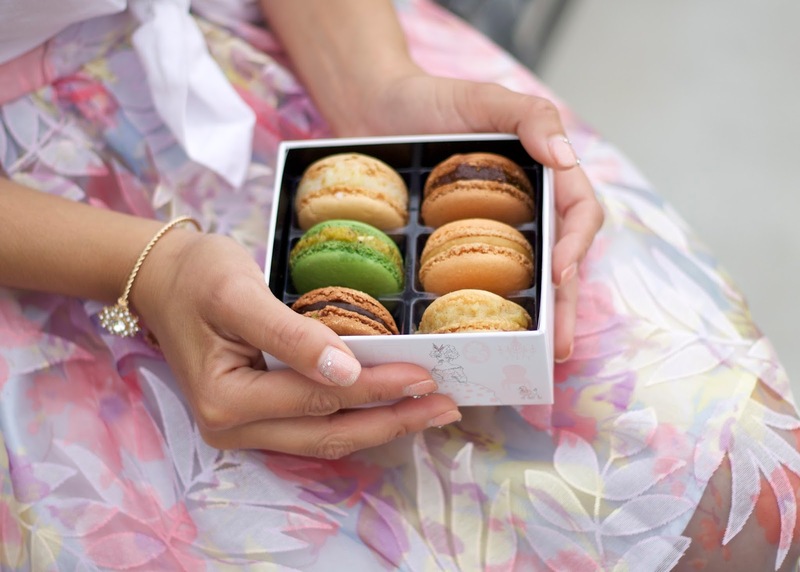 I know that pastels are usually reserved for Summer, but I was feeling extra pastel inspired this weekend when I received a gorgeous (and delicious) box of macarons all the way from Macaron Cafe in New York City! Macaron Cafe ships nationwide so if you're craving these goodies you can place an order and get them delivered to your doorstep like I did! If you are that brave soul following me on Snapchat (under username 'lilbitsofpau'- yes shameless plug) then you know I was working on my closet-room this weekend. Well, I found this and other pieces of clothes stashed in my closet and I had forgotten to share it! Arg! It only motivated me more to keep cleaning, purging and organizing, although sometimes it feels like a never ending battle! Macarons from Macaron Cafe, they deliver nationwide! order yours here! Your mint pumps are everything! 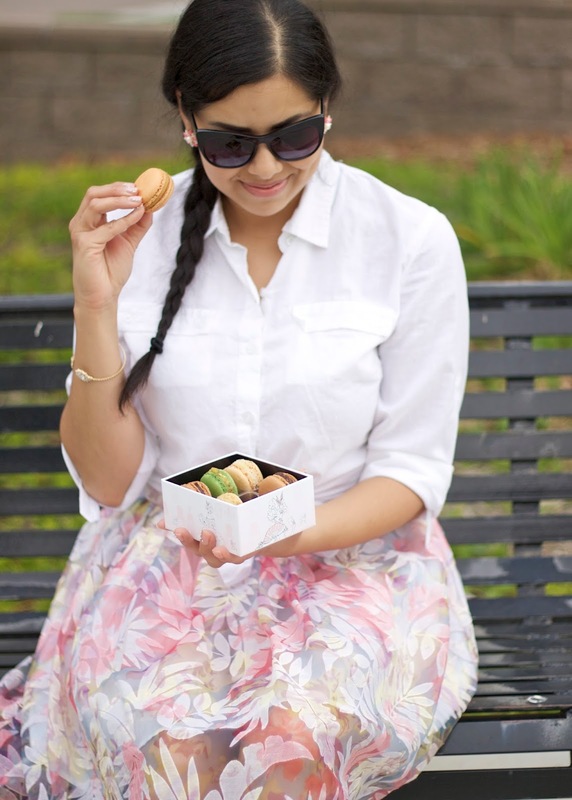 share those macaroons pls! 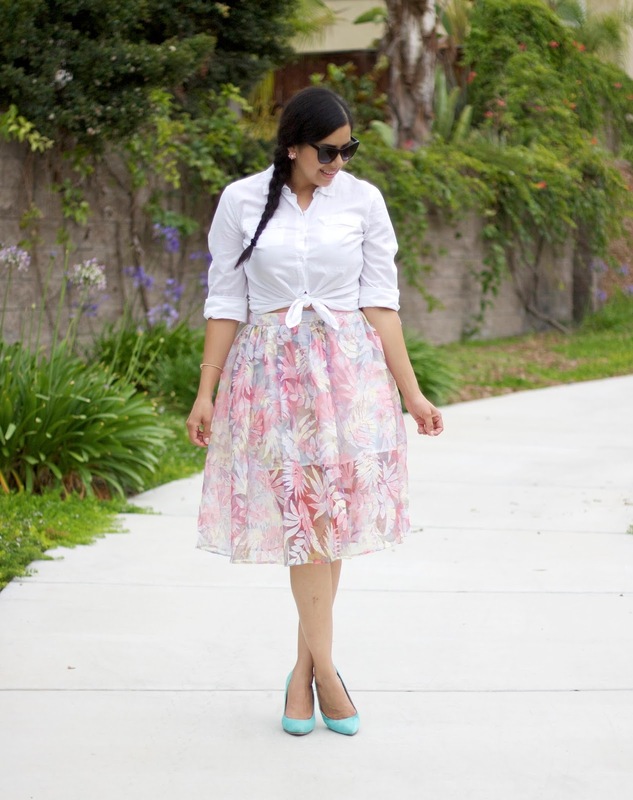 love ur skirt so gorg! xO!